Onions sautéed in olive oil. Added cubed pork loin, cumin, and some ras el hanout. Sauté until pork is browned. 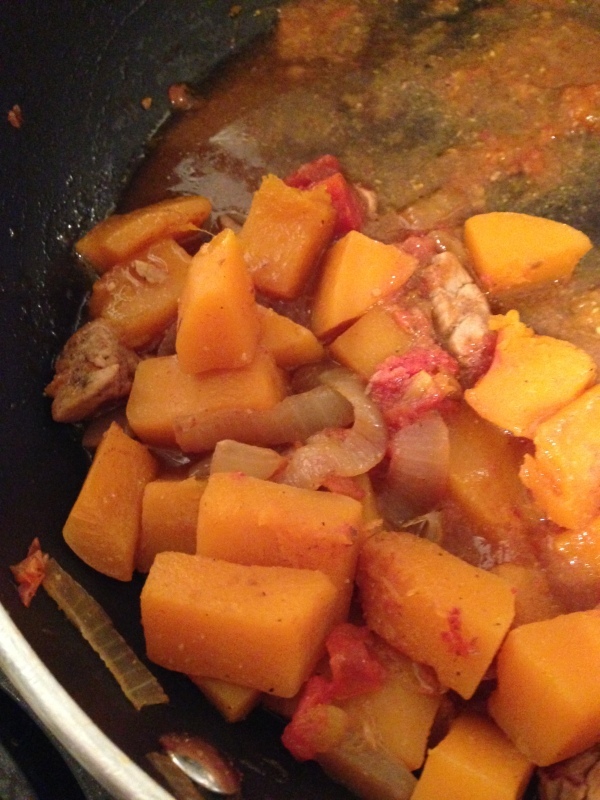 Add peeled & cubed butternut squash, plus a handful of diced Roma tomatoes. Added 1 cup of chicken stock and covered, simmer for 20 minutes / until squash is tender.